Hello, I would like to welcome you to a professional-quality semi-animated production of Les Miserables online. 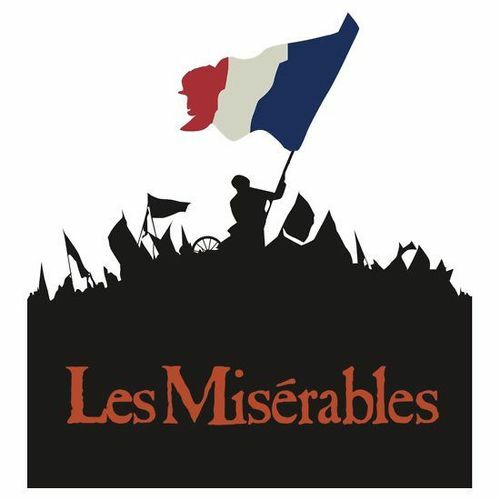 Les Miserables was originally written by Victor Hugo in France, though it has reached countless audiences and adaptations across the globe. One of these auditions is a musical production by Alain Boublin and Claude-Michel Schonberg, with lyrics by Herbert Kretzmer- which is what we are trying to recreate. Songs will be released on Youtube individually and staggered out of order. After all songs have been released, there will be a final video with every song in order. This production requires both talented singers and voice actors- be prepared to work hard! There is a discord server in which all of my productions are managed, which is where the majority of work will be completed. In other words, a discord account is required to audition. Here at RadioOpera, we do not tolerate bigotry of any kind. If you are caught peddling hateful words, you will be removed from the project and your role opened up for auditions. Auditions will remain open until a suitable cast member has been found for every role. That is all. Jean Valjean is arguably the main character of Les Miserables. Imprisoned for an unjust amount of time, he is hardy yet compassionate. He must be able to sound simultaneously stern and paternal. His range is that of a tenor. Explain why you feel that we should choose you for the role. Inspector Javert serves as the antagonist to Jean Valjean- but he is arguably not a villain. He is very rule driven and eager to dish out justice no matter what the cost. He must be able to sound stern, but emotional when the time comes. He possesses a baritone voice. Sing the first 16 measures of 'Stars'. Explain why you feel that we should choose you for the role of Javert. Fantine is a young adult who has been broken by her lot in life. She must be able to express extreme emotions but still sound strong. She is the mother of Cosette. While she is a Mezzo-Soprano, she could be played by an Alto. Explain why we should choose you as Fantine. Marius is an emotional character and one of the only ones to survive the whole play. He must be capable of expressing great sorrow and great love- and expressing them well. He is a tenor. Eponine is the daughter of the Thernardiers, who is in love with Marius but never gets together with him. She dies a premature death at the barricade. She possesses the range of a mezzo-soprano. Explain why we should choose you as Eponine. Thenardier is the only character who can really be described as a true villain in the musical. He is tough, crafty, and greedy, but possesses a certain charm. He is a baritone. Enjolras is the head of the 'barricade boys', and dies at the barricade with them all fighting for a new world. He should sound very determined, moral, and charismatic. He should have a low tenor voice. Gavroche is the youngest cast member, who ultimately dies at the barricade. Though an urchin, he has managed to befriend the 'Barricade Boys' and fights with them. He should be a tenor. Explain why we should choose you as Gavroche. The ensemble sings the chorus part in any given song, and occasionally soloists will be randomly selected from this pool of singers. We are looking for 4 female ensemble members. Any voice type works. The ensemble sings the chorus part in any given song, and occasionally soloists will be randomly selected from this pool of singers. We are looking for 6 male ensemble members. Any voice type works.